Since it’s their job to constantly patrol the library, your security workers will come in contact with patrons for many reasons other than safety or loss prevention. Make sure you choose security staff that is able to assist the public with general library logistics such as finding different sections, explaining checkout rules, and which programs are occurring on a specific day. The extent of this may vary between large branches with full-coverage staff and small locations that need more help, but every security worker should be aware of what peripheral needs might come up. 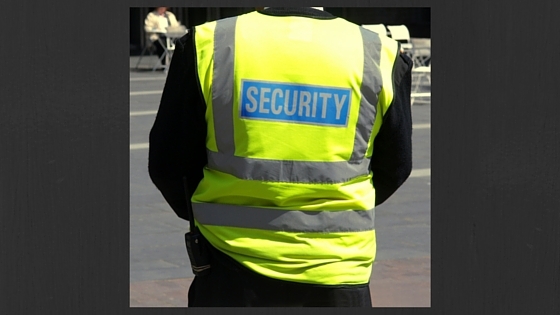 Make the physical requirements for any security positions absolutely clear in your job listing. If applicants do not realize that they will be standing or walking for their whole shift or that they will be expected to help lift boxes of books or help set up furniture for programs, you may unintentionally hire someone who is unqualified. Stress the physical requirements from the beginning to guarantee that you choose the right fit for your location. Another job point that doesn’t seem obvious but becomes crucial immediately, security workers must be familiar with basic word processing and email at the very least, to create and file incident reports. This is a skill that is rapidly becoming universal, but don’t take it for granted in all your applicants. If your library has its own security system set up, your security workers will need to either be familiar with it or able to learn how to use it properly for the safety of all staff and patrons. Flexible schedules Your security workers will have to cover more than just the hours your library is open. They will be your first line of contact if anything goes wrong overnight or whenever the library is supposed to be empty. To truly secure the library, they need to be willing to respond to alarms; help cover late, early, or distant events; and keep your materials, staff, and customers secure at all times. What do you look for in security staff? Share your experiences in the comments below. Melanie Griffin, “I’m Not Actually a Librarian: Volunteer Coordinator,” Public Libraries Online, January 25, 2016. Melanie Griffin, “Safety & Security Workers Are An Integral Part of Library,” Public Libraries Online, April 15, 2016.